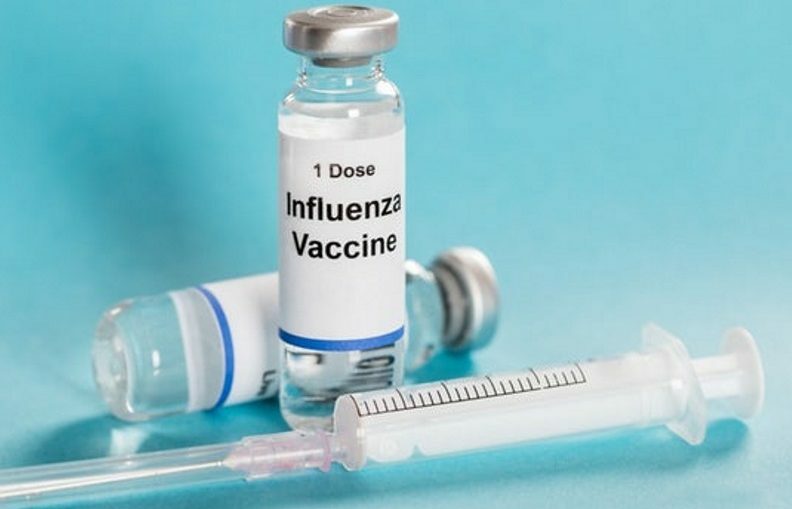 A new study led by researchers at the University of Pennsylvania has demonstrated the efficacy of a new universal flu vaccine. Having been proven impressively effective in animal tests, the team hopes to move the vaccine into human trials within the next couple of years. The race to develop a safe and effective universal flu vaccine is speeding up, with a number of different research teams around the world currently working on possible targets. Some attempts are already in human trial stages, while others are still theoretical, but the vast number of different strategies being pursued suggest it isn’t unreasonable to think we could have a workable, one-off universal influenza vaccine within five to 10 years. The latest candidate, and one of the more promising, utilizes a novel process to confer broad immunity. Current flu vaccines are designed to target proteins on the surface of the influenza virus called hemagglutinin (HA). The unique fingerprint on the head of these proteins is what our current flu vaccines aim for, but these protein heads are rapid mutators, which is why we need to reformulate our flu vaccines every year. A target that has been much more promising to researchers in recent years has been the HA protein stalk, instead of the head. The stalks of HA proteins do not vary from one flu subtype to another, making them a perfect target for a universal vaccine. The new vaccine use mRNA molecules to house entire copies of influenza HA proteins. This method allows the body to absorb entire RNA molecules into immune system dendritic cells, meaning the HA proteins are subsequently produced from within those cells. This technique mimics a flu infection in a more effective way to hyper-stimulate an immune antibody response. The early animal tests with the vaccine revealed it stimulated a profoundly strong antibody response that was particularly targeted towards the lower-stalk portion of HA proteins. The antibody responses persisted for over 30 weeks following two initial injections in mouse, ferret and rabbit experiments. Earlier this year, a team from Georgia State University revealed successful research utilizing a similar approach. That method again demonstrated the efficacy of targeting HA stalks, encapsulating the entire molecule inside a tough double-layered nanoparticle. This newly proposed vaccine technique also uses nanoparticles to protect the immune system-triggering molecules. The new vaccine is hoped to move to human clinical trials within the next two years. Many of these developments do have the capacity to stall or fail at the human trial point but there are currently just so many different strategies in the works for a universal flu vaccine that it isn’t a stretch to imagine one hitting the market within the next decade. The new research is published in the journal Nature Communications.